Blurb: After the death of his wife, Dr. Martin Singh has become more and more involved in his work. He and his associate, Professor Jim Harrison, believe that they may be on to some important scientific discoveries that will help to prolong human life. They are intent on keeping their discoveries under wraps for the time being because they donât believe that the scientific community is quite ready for what their research reveals. They set up a secret laboratory in the beautiful wilderness of the Maine North Woods and are excited because Martinâs son, Pete, and his young bride, Liz, will soon be joining them at the laboratory. As the story opens up, we find Julie Miller, a Long Island housewife and well respected high school music teacher, looking forward to the start of the new school year. While busy at work preparing her music students for the schoolâs annual musical production, she suddenly falls ill with a life- threatening illness. This upsets the entire Miller family including family dog, Seymour. Julie turns to the Internet to find support from fellow sufferers. One of the members of her Internet forum recommends that she attend a conference given by the brilliant but reclusive Dr. Martin Singh and his associate. Could this offer Julie hope or might it lead her down a dangerous path? âGet away from me, Martin,â Julie screams. âLeave me alone. Why are you doing this to me?â She rips off her blankets and tries to get up from the bed. Julie continues to struggle. She tries to scratch Martinâs face. Martin grabs Julieâs arms and pins her down. He sits on her legs to keep her from moving. Being so weak, Julie is no match for Martinâs strength. She cries out. Martin hooks up a bottle of propofol to the IV drip. He quickly intubates Julie and hooks her up to a ventilator so that she will have plenty of oxygen going into her cells. He attaches monitoring equipment to check on Julieâs vital signs. He gives Julie an injection of Fentanyl to enhance the anesthesia effect and make sure that she will not experience any pain. Martin and Jim place Julie into the bathtub and manage to move the IV stand and the monitoring equipment at the same time. They plan to ice Julieâs body and bring down her temperature before placing her into the liquid nitrogen Dewar. They remove her clothing. A rectal probe is placed in Julie in order to monitor her core body temperature. Jim returns with two bags full of ice. 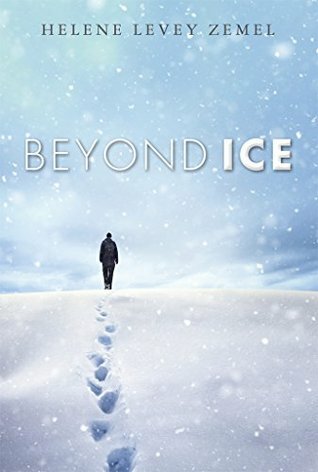 The two scientists place ice all around Julieâs body as she lays unconscious in the bathtub. Martin goes down to the cellar and returns with two additional bags of ice. They cover Julie with the additional ice and then place a Mylar blanket over her to help maintain the cold temperature. They later add dry ice to bring her temperature down even further. When she is sufficiently cooled down, they will transfer her into the liquid nitrogen bath. Jim and Martin carry Julie downstairs to the laboratory where the Dewar of liquid nitrogen is waiting for her. Because Julie has lost so much weight due to cachexia from the cancer, she only weighs ninety-six pounds and the two scientists have no trouble carrying her. When they reach the laboratory, they place Julie on a laboratory table and surround her with towels. They re-attach the monitoring equipment to check on Julieâs vital signs. They re-establish the IV connection so that they can maintain anesthesia and analgesia. They continue to ice Julieâs body to slow down her bodily functions and metabolism still further. The scientists withdraw and collect six quarts of Julieâs blood while they continue to keep her on ice. They replace the IV bag of saline solution with the vitrification solution that worked so well on Gita. This will keep Julieâs body from forming destructive ice crystals that could damage her cells. They add some glucose to the IV. They stop the Propofol and Fentanyl as they are no longer needed for anesthesia. Julieâs bodily functions have slowed down so much that she can no longer feel any pain, and she remains unconscious. Once she is placed in the liquid nitrogen her heart and breathing will stop, and she will be in suspended animation until she can be reanimated. The two scientists put on their gloves and then gently lower Julieâs body upside down into the Dewar of liquid nitrogen. After they finish placing Julie into the liquid nitrogen, they high five and congratulate each other. After assuring that all the dials on the Dewar are perfectly set, they go upstairs for some lunch. A few hours later they go downstairs to check on Julie.